Good News!!! 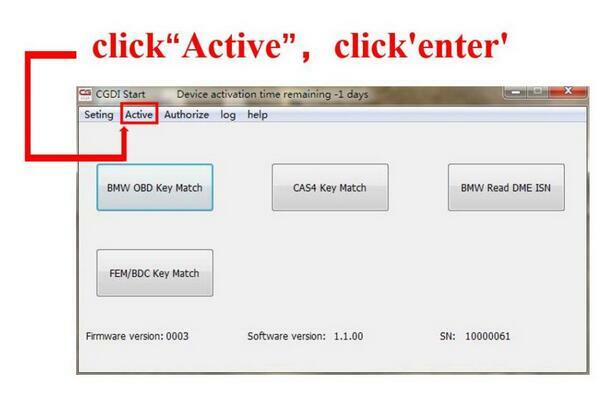 New released CGDI Prog BMW software adds BMW EWS Key Programming. 1. Added: EWS1-3 key matching function. 2. 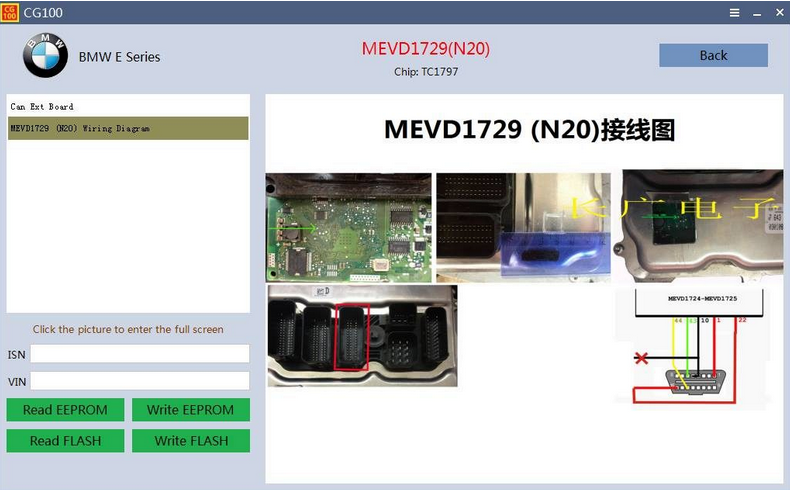 The E-code is modified to modify the VO code function, and the VO code can be added or deleted directly by the selection method, and the operation is simpler. 3. 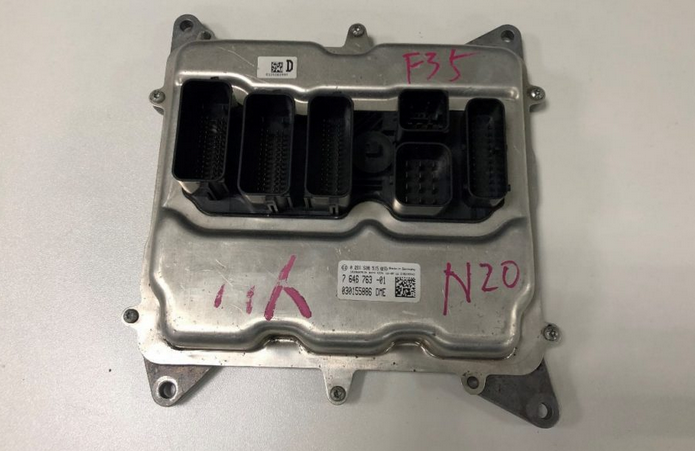 The BMW data modification adds support for both N13 and N55 engine data. 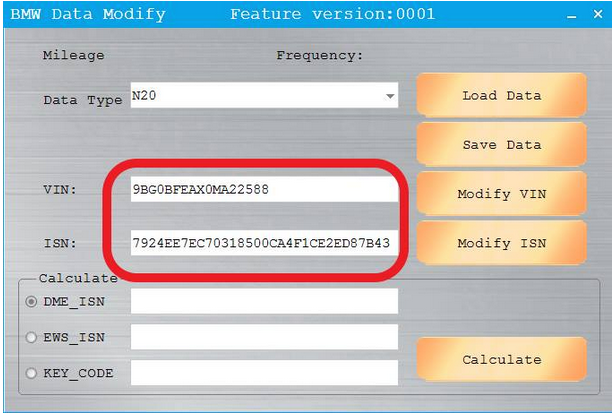 It’s free to active CGDI Prog BMW MSV80 Key Programmer on a new computer and you can operate it by yourself, also you can provide the seller with the serial number for remote assistance. 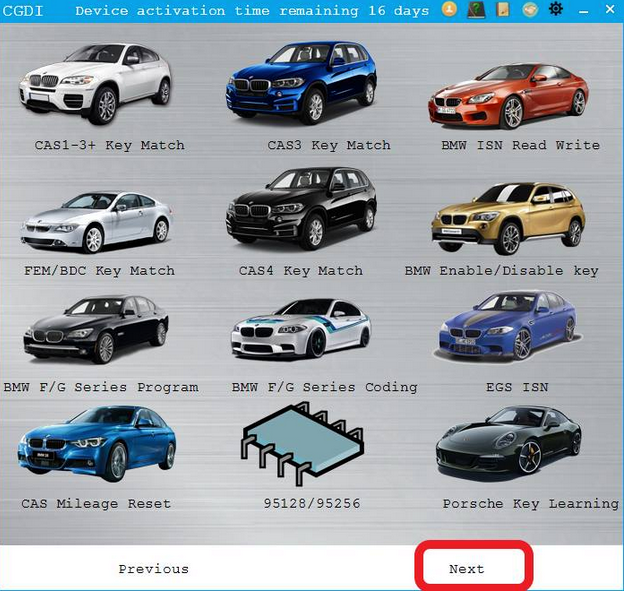 How to activate CGDI Prog BMW MSV80 programmer (bought before November 2017)? 1). 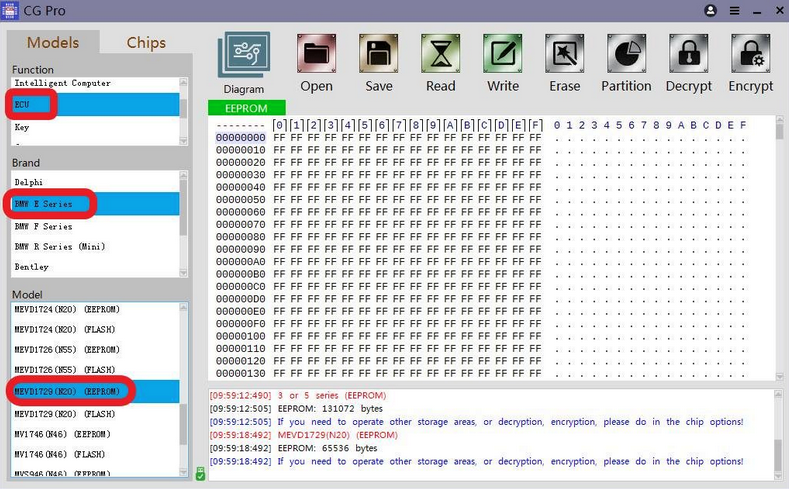 Download software from official website http://www.cgprogcar.com/, there will be user manual too in the software catalogue. 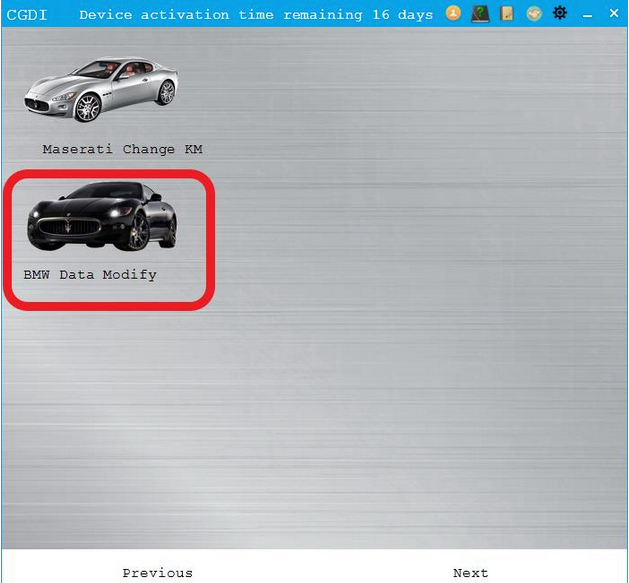 CGDI Start displays “Device activation time remaining -1 days”, it means the device is not active. 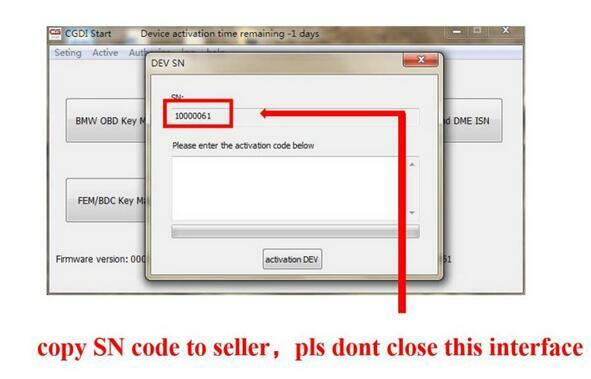 Copy the SN and provide it to the seller, and not close this dialog. 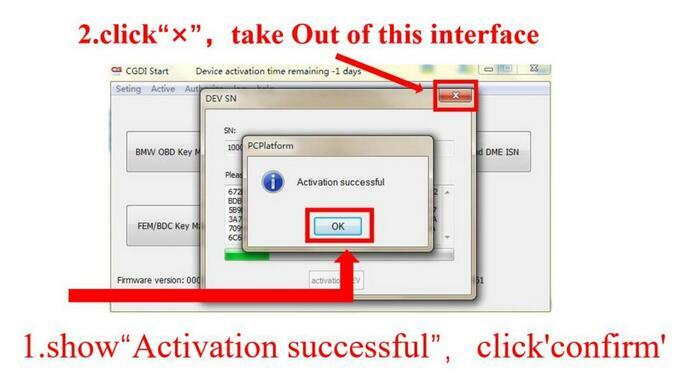 Enter the activation code from uobdii, click on “Active”. CGDI Prog is activated , please wait until it succeed. 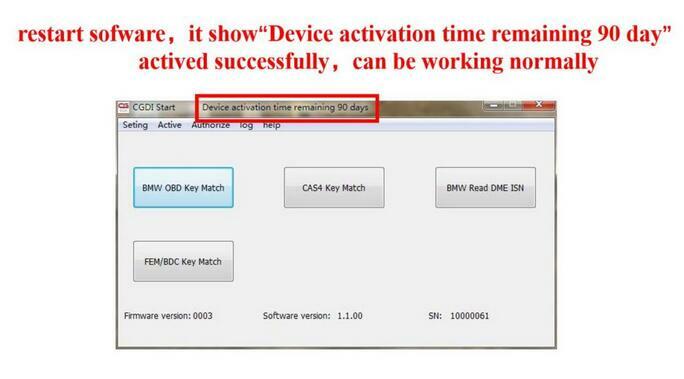 Restart CGDI Start, you can see it displays ” Device activation time remaining 90 days”, the activation succeed and CGDI Pro is working. 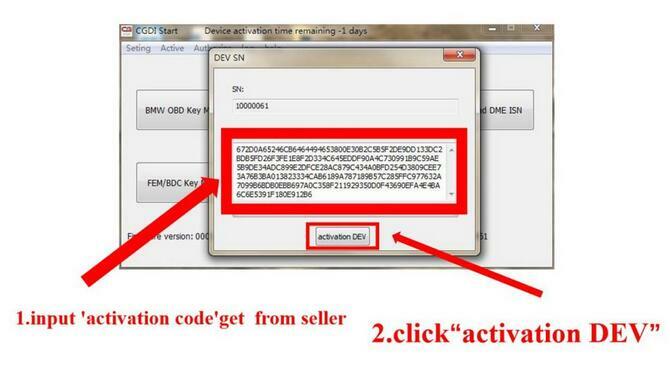 *Note: This device need activate every 3 months, when it’s invalid, please don’t worry, just provide the seller with serial number again to activate for free. 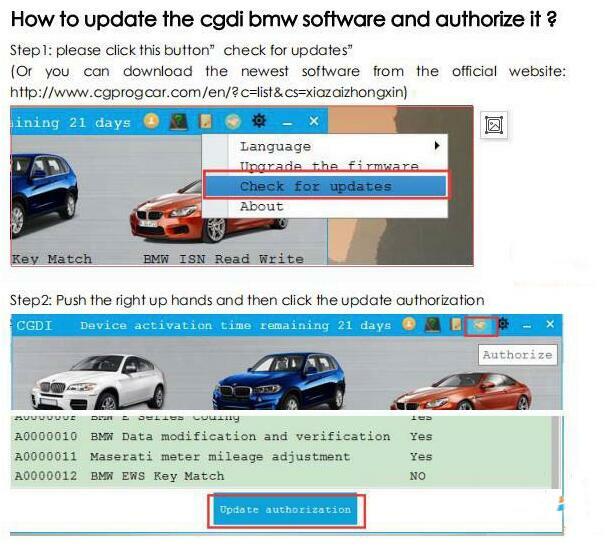 If your CGDI BMW key programming equipment was bought after November 2017, please directly download software from official website http://www.cgprogcar.com/and use. 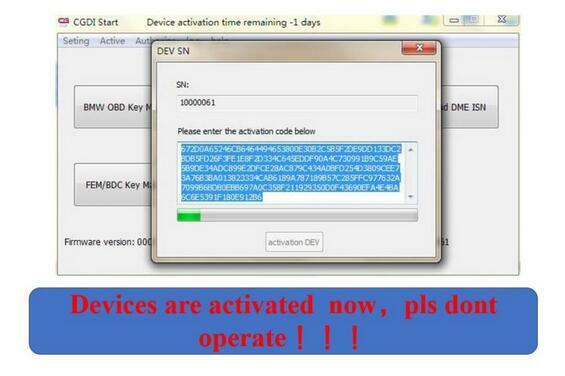 It will get invalid every 3 months too, when it requires activation, please pass us serial number for free. 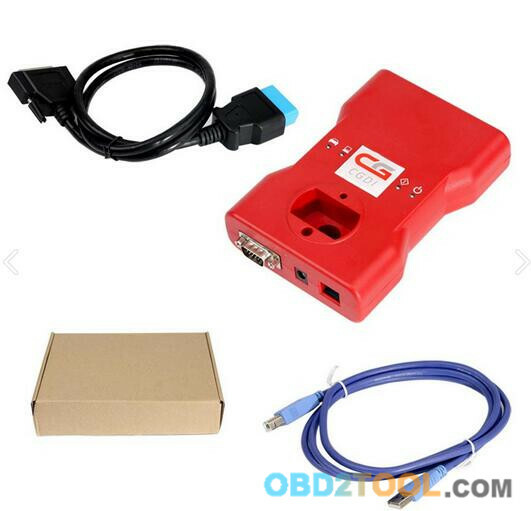 CGDI Prog BMW MSV80 is an excellent programmer designed for auto diagnostics, programming and security maintenance. 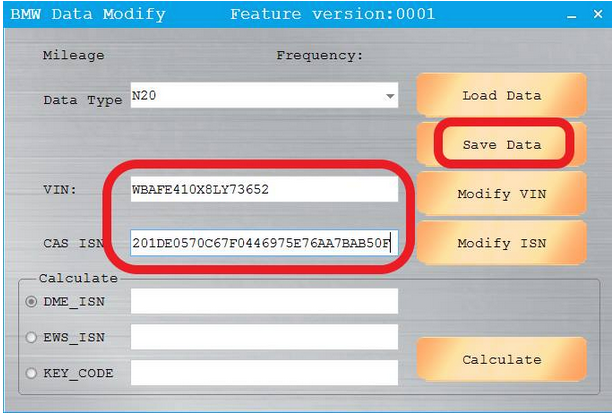 Here, i will make clear how to use the CGDI Prog BMW key programmer device. 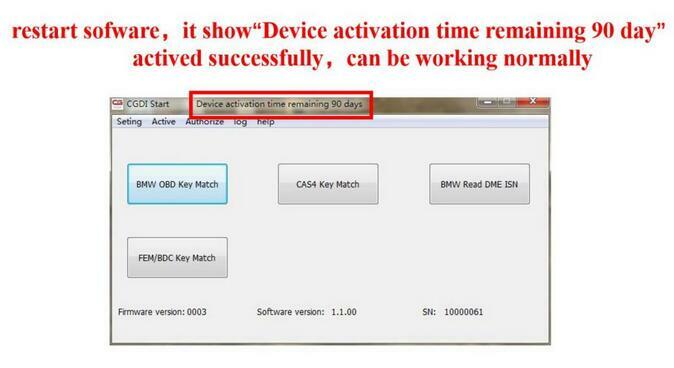 only work for BMW from 2002 -2009 years with new BMW CAS,CAS2,CAS3,CAS3+.